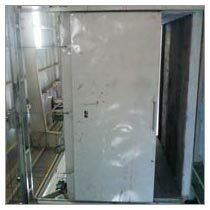 We are engaged in the manufacturing, exporting and supplying of Preheating Oven. We deal in Preheating Oven that is in great demand among the industry professionals; they make use of Ovens for various application. The Preheating Oven we offer is robust, easy to operate, sturdy, has high tensile strength and can with stand high temperature. The fabrication process is done under the stringent supervision of trained experts.